The planned introduction of high-speed trains in the US requires the assessment of potential corridors for such systems. U.S. Department of Transportation, Federal Railroad Administration (FRA) recognized that noise and vibration issues are frequently among the potential impacts of most concern to residents. In contrast to some countries, city pairs are quite far apart in the United States, which brings the potential for high-speed train operations in rural and wilderness areas. Noise from high-speed train pass-bys in rural and wilderness areas may have effects on animals. Concerns have been raised by environmentalists who suggest high noise levels adjacent to a rail corridor can cause impact such as interference with communication, masking predation, startle and fright. FRA has adopted criteria for identifying the potential impact of such effects, based on research on aircraft over-flights with similar noise signatures. 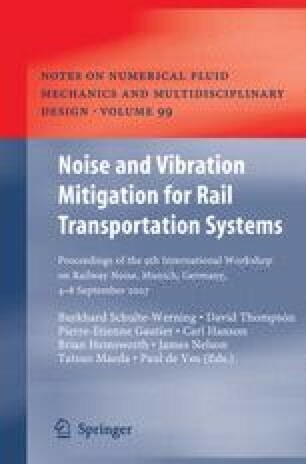 This paper summarizes the research, makes comparisons with high-speed train noise signatures and proposes criteria.